It is not always easy to be 1.) aware if we are 2.) breathing correctly at every moment. Perhaps we don´t give much importance to it when we are walking, at work or even driving. 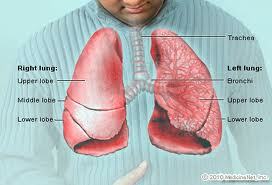 But how we breathe is very important if we practice a sport or do something different 3.) like singing or do some 4.) kind of meditation or are involved in oriental disciplines where breathing techniques play a very important 5.) role to be more in contact with oneself. People are often surprised when they are told that they should 6.) learn how to breathe. Breathing puts us in direct contact with life because very few of us can survive more than two or three minutes without air. Most of us only breathe to simply 7.) stay alive. 8.) However if we learn to breathe correctly, we can maintain a 9.) bond between our 10.) body and soul. By being conscious of how we breathe can help us live longer and avoid certain 11.) illnesses. In normal breathing 12.) most of us only use a quarter or 13.) even less of our 14.) lung capacity. A 15.) deep slow and regular breathing is the first 16.) step to living better, being 17.) healthier and happier. We 18.) should reduce the number of times we inhale and exhale per minute. If we take our19.) blood pressure and we begin to slowly inhale and exhale 20.) filling and 21.) emptying our lungs, we will see that our 22.) heartbeats will be slower and much 23.) less. There are also 24.) advantages in 25.) holding our breath with our lungs 26.) full of air. It can 27.) provide a volume of 28.) airflow giving us more oxygen and 29.) removing carbon dioxide more 30.) efficiently. Inhale 34.) through our nose 35.) filling our lungs completely and hold your breath for five seconds. 36.) Then, when we are 37.) going to exhale, close our 38.) lips 39.) tightly and force the air to 40.) come out slowly through our lips. Do this exercise three to five times. We will 41.) feel that we are breathing 42.) better and that our lungs feel 43.) cleaner. Be aware of how we are breathing and try not to think of 47.) anything else. Constantly being aware of our 48.) breathing will 49.) make us spiritually 50.) stronger and 51.) happier. The word spirit comes from latin spiritus and from the verb spirare which 52.) means 53.) breath. 54.) Thus the breath we breathe has been mentioned in books 55.) as 56.) "The Holy Spirit" To live is to breathe and to breathe is to live. In fact,(en realidad) this is not a romantic song according to (segun) Sting when he wrote it. He composed the song after getting divorced from his wife, Frances Tomelty. An easy and fun way to learn English or an easy and funny way to learn English? Hi Anne. You can use both because FUN & FUNNY can be used as adjectives. acabo de descubrir tu blog y me encanta. Hace muchos años que no estudio inglés y ahora, por cuestiones de trabajo, voy a volverlo a retomar. Thank you very much! !